Once your item has been approved and is listed on Codester. It may be tempting to sit back, relax and hope buyers come by themselves. Unfortunately, the most common reason developers fail to run a successful business is because they forget about marketing their products. Without marketing you don’t give your items a real opportunity to sell. Once your items are listed on Codester, the key is to realize you are only halfway down the road to success. If you want to run a successful business you have to get out there and promote your items! Marketing is as important as the product itself. We have put together a starting guide with the just the basics to get you going with promoting your work. We will be adding more in-depth guides to this guide in the future. Just check our blog once in a while to stay up to date. Now, let’s get started! Sharing on social media seems like an obvious thing to do, but we often see items on Codester that haven’t been shared at all. On the page of every item on Codester there are several share buttons. Just a press on the button and you have shared it on a social network. This should be the first thing to do when your item is listed on Codester. Post a link to your item on Codester. When doing so don’t forget to add an image to make your post more visible. We recommend using your items preview image. Create a Facebook page. Update this page several times a week and always post your newly released items on your page. Don’t forget to like your own posts. 80% of your posts should not be ads for selling your work, but about topics that could be interesting for your audience. Not more then 20% should be ads for buying your items. Get as much people as possible to like your page by adding like buttons to your company website, other social profiles and of course your Codester profile. if don’t have a Twitter account, get one! Tweet about things your potential buyers would find interesting. Again a maximum of 20% of your tweets should be ads for selling your items. The other 80% should be tweets that could be interesting or entertaining for potential buyers. When tweeting about your item include an image with your tweet to make your tweet more visible. Include hashtags with the programming language of your item. Follow potential customers and get followed back. Again place follow-me-links on social profiles and your company website. Google+ is not the most popular network out their, but it is popular among developers and designers. It’s a good place to advertise your items. Pinterest is a visual social network. If you have an item with a great looking user interface, this is the moment to show it off. Post your preview image here. Get your company listed on Linkedin. This will help to get more credibility when selling your items. You can try to sell your items directly on Linkedin, but don’t over do it. Direct advertising should not be your main goal on Linkedin. 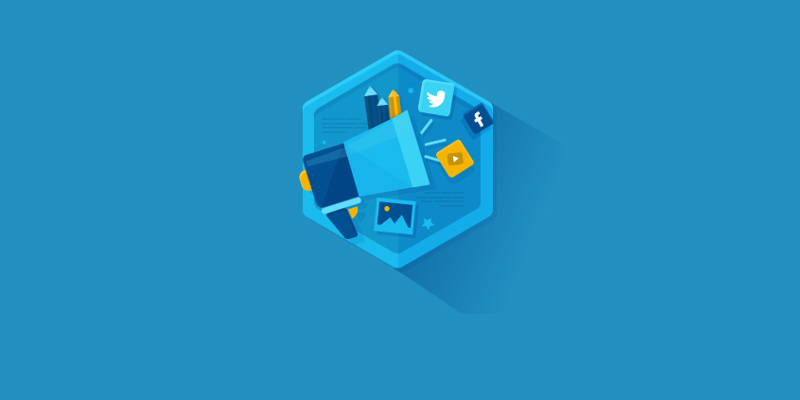 Dribbble is a real hangout for designers, but also for developers who are into designing. A lot of potential customers. In general the quality level of designs is really high. Be sure to show something good looking. Another network for designers and is popular with developers. If you have a great looking UI, post a image of your work. If you don’t have a company website, it is time to create one. Be sure your website has a professional and clean design. If you don’t have much confidence in your design skills. don’t be afraid to use a template or if you have the budget, hire a designer. Just make sure you site is looking good. A blog is a great marketing tool. Try to host it on the same domain as your company website to gain a higher pagerank in Google, when people start linking to your blog’s articles. Try to write at least one or two articles a week and post articles about your item’s when they are released. There are several plugins for weblog platforms like WordPress to automaticly post new articles to your Facebook and Twitter feed. This can be a real time saver. A preview video is a great way to show your customers what they are buying. It can be difficult to only explain with text & screenshots what your item is capable to do. A preview video can really help to bring it to live. Embed your preview video in your items description on Codester. Video’s are the most shared media on the internet today. Creating a good preview video can help to get good exposure for your item. While you are at it, create a channel on the most popular video sharing websites and upload your video. 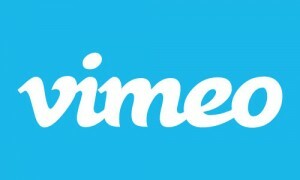 The most popular video sharing platform. Be sure to create a channel for your work. Another popular video sharing platform. Also post your video here for extra exposure. Search for forums where your target audience hangs out. For instance if want to promote the source code of an iPhone app. Try to find out where iPhone app developers hang out. Do read the forum rules carefully before posting. Search on Google for articles and websites related to your product. For example if you find an article about a top 10 WordPress social plugins and you have a social plugin for WordPress, ask the site owner to also list your item. Make the site owner aware he/she can earn 20% commission using the Codester referral program when he/she lists your item. This can help a lot! Search on Google for related articles and post a link to your item in the comments section. Be sure your link is a great addition to the article and is relevant. Don’t spam! If you have the budget, you can also try paid advertisements. Start carefully, measure your results and increase budget as you go. Don’t blow your budget at once! There are many places where you can advertise. We will start with the two biggest networks: Google and Facebook. Google Adwords is a cost-effective way to start advertising your products. Choice your keywords wisely. If you have a good looking interface your can also try to advertise on the Google Adwords display network. Which will enable you to display your own banner on websites that have Google Adsense enabled on their website. There are two ways to use Facebook Ads. You use Facebook Ads to advertise your item directly or you can use Facebook Ads to get likes for your Facebook page where you promote your items. This is a great way to create a larger Facebook audience when posting on your Facebook page. It is difficult to say which method works best. The best way to find out is to try it yourself. How do you promote your items? Share your experiences. If you have any tips or suggestions, please let us know by posting them in the comments area. We will be updating this guide on regular basis.